Pittsburgh was well represented at Welcoming America’s Second Annual Welcoming Interactive in Atlanta, Georgia. The Global Switchboard was excited to be among the welcoming partners representing our region. 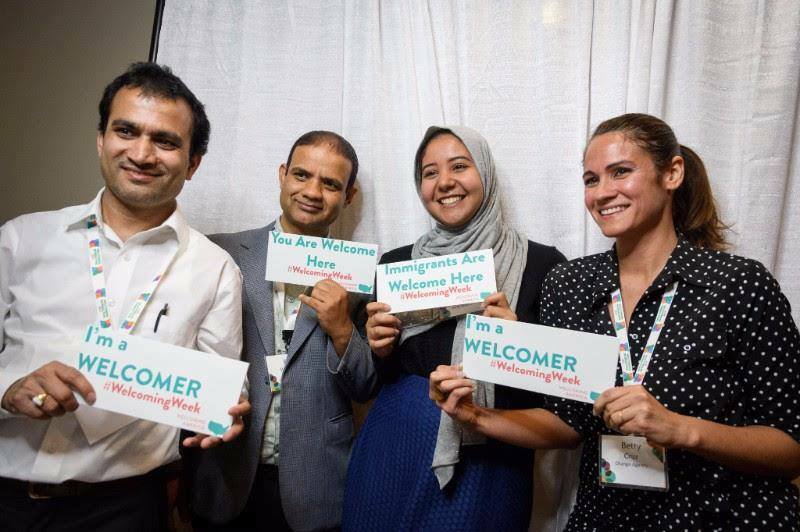 After two full days of learning from and connecting with a community of welcomers from across the country, we have returned with our minds abuzz with energy and new ideas. We are proud of the diversity of entities that represented Pittsburgh: from the Mayor’s office, to our resettlement services, to our nonprofit community, our dedication to a global and more welcoming Pittsburgh is stronger than ever! Previous Post How do Immigrants impact the Pittsburgh economy? Next Post We Have a New Look and a New Plan!